Dan Raviv and Yossi Melman. Spies Against Armageddon: Inside Israel's Secret Wars. Sea Cliff: Levant Books, 2012. আইএসবিএন ৯৭৮-০-৯৮৫৪৩৭৮-৩-১. Ari Ben-Menashe. Profits of War: Inside the Secret U.S.-Israeli Arms Network. New York: Sheridan Square Press, 1992. আইএসবিএন ১-৮৭৯৮২৩-০১-২. OCLC 26586922. Black, Ian and Benny Morris. 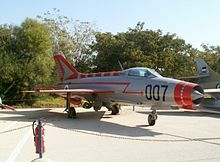 Israel's Secret Wars: A History of Israel's Intelligence Services. New York: Grove Weidenfeld, 1991. আইএসবিএন ৯৭৮-০-৮০২১-৩২৮৬-৪. OCLC 249707944. Jonas, George. Vengeance: The True Story of an Israeli Counter-Terrorist Team. New York: Simon and Schuster, 1984. আইএসবিএন ০-৬৭১-৫০৬১১-০. OCLC 10507421. Victor Ostrovsky. By Way of Deception: The Making and Unmaking of a Mossad Officer. New York: St. Martin's Press, 1990. আইএসবিএন ০-৯৭১৭৫৯৫-০-২. OCLC 52617140. Ostrovsky, Victor. The Other Side of Deception: A Rogue Agent Exposes the Mossad's Secret Agenda. New York: HarperCollins Publishers, 1994. আইএসবিএন ০-০৬-০১৭৬৩৫-০. OCLC 30972282. Parsi, Trita. Treacherous Alliance: The Secret Dealings of Israel, Iran, and the United States. New Haven: Yale University Press, 2007. আইএসবিএন ০-৩০০-১২০৫৭-৫, আইএসবিএন ০-৩০০-১৪৩১১-৭. OCLC 124164797. ↑ ক খ Mossad profile, Global Security. Retrieved March 24, 2013. 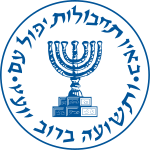 ↑ the Mossad profile, Federation of American Scientists. Retrieved March 24, 2013.